Unleash... and Live a Life You Love! Heather's 'Life Lessons Unleashed' messages help you achieve success and overcome adversity ultimately living a life you deserve and love. A higher level of personal and professional achievement is all about Passion, People, and Purpose. Personal and professional success comes from living a life that's unleashed; A life you love. Let's face it. Life can be hard, but with the right attitude and effective tools, it can also be amazing. Utilizing the principles of Passion, People, and Purpose, Heather will provide your audience actionable steps to kick start their journey increasing their levels of success and happiness. Dealing with anxiety, stress reduction, building self-esteem, improving personal performance and engagement, pursuit of your dreams and event kick off presentations are her specialty. An author, business professional, animal lover, community volunteer, health nut and lover of vegetables (yes, bring on the broccoli), Heather combines it all to in engaging presentations that support your event agenda. It's all about 'Passion, People, and Purpose' and she's developed presentations that encompass one or all to motivate and inspire your audience. She's worked with school groups, professional networking organizations, small businesses and corporations to deliver a positive impact. Let's talk about the importance of 'engagement' - both personal and professional. This program is a road map of sorts showing how the principles of 'Passion, People, and Purpose' combine to drive higher levels of achievement and success both personally and professionally. This is Heather's most requested presentation for creating, focusing, and reinforcing increased levels of performance. A presentation that works well for leaders and employees within your organization, it is equally as beneficial to anyone wanting to better their personal levels of performance and engagement. Discover, the one, single most important word that increases engagement; Make regular use of this word and watch others smile! Living with anxiety IS possible. In fact, for those facing issues with anxiety and panic, it's actually possible to make them your friend. Heather lives with these conditions and has learned to not let them define her. In this presentation, she shares a number of her personal strategies for successfully managing these conditions while living a fulfilled, happy life. Heather delivers your message in a way that combines humor and inspiration to both entertain and educate. (No business suit here.) Your audience will laugh, learn, and walk away with tools they can immediately apply. Heather understands the importance of meeting your expectations both on stage and off. Presentations are customized as possible to fit your event agenda. She's also flexible, easy to work with. Heather's presentations are based on professional experience, education, and personal stories which all come together to both educate and entertain your audience. Her expertise is translated into tools the audience can immediately apply personally and professionally. I believe learning should be fun and to support that have developed stories for all types of presentations. My analogies keep audiences engaged and communicate your message in a way to which everyone can relate. I am committed to presenting a dynamic program that supports the purpose of your event, makes a difference to the audience, and positively impacts their lives. Please call me at 920-203-1171 or e-mail through Speaker Match to discuss a program perfect for your next event. Don't miss this opportunity to make your event memorable! 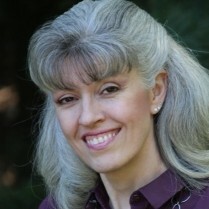 Find out more about Heather Whittaker at http://www.heatherwhittaker.com.